Paying off creditors before bankruptcy may seem like a smart idea. After all, you are trying to eliminate your debt, right? While conventional knowledge would support paying off as many creditors as possible before filing for bankruptcy, but under Bankruptcy Law, it can cause problems and delays in receiving your bankruptcy discharge. So despite your good intentions, it’s better to stop paying your creditors if you intend to file bankruptcy within the next three months. 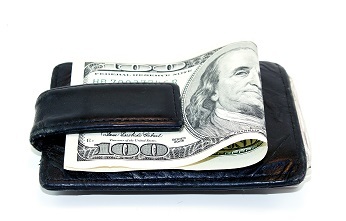 Individuals all have their own reasons for paying off certain debts before bankruptcy. Debts commonly paid back before filing bankruptcy can be: in order to hide bankruptcy from the bank, an employer, or a creditor, keep a home or automobile, or to ensure relatives or friends get paid back first. For regular creditor payments such as your credit card company, the Trustee can undo any transactions valued at more than $600 and made within 90 days of bankruptcy. When paying back a friend, family member, or business partner before bankruptcy, any payment over $600 dollars within the last year can be undone. When filing for bankruptcy in Texas, the Bankruptcy Courts aim to pay back as many creditors as equally as possible. If you pay more money towards paying down one debt and not the others, this shows a preference for that creditor. A preferred creditor can include relatives, friends, business associate, regular creditors, and business debt creditors. For example, if you received $2000, used it to pay back a personal loan from a relative, and then filed bankruptcy 9 months later, the Bankruptcy Trustee will require the money be returned and divided equally among creditors. The relative may receive only a small portion of the payment at the point. There is an exception to the $600 amount, and this is when business debt is involved. Business debt repayment can reach $6,225 before the Trustee is able to undo the payment through a clawback suit. If a Bankruptcy Trustees deems that you showed preferential treatment under the following guidelines, they will file a lawsuit to essentially “undo” or “claw back” your payment to a preferred creditor. Keep in mind that this ability is not automatic. The Bankruptcy Trustee must file suit and obtain a judgment from the Bankruptcy Court in order to legally demand the money or property back. If any avoidable preference transfers are suspected in your case, you’ll likely be asked for more information during or after the 341 Meeting, putting your bankruptcy case in a standstill until the matter is explained and resolved. If any transfers of money or property are deemed preferential, avoidable, and the individual in possession refuses to return the money or property, the trustee will file a clawback suit. If successful, the court will determine to either uphold the transfer or demand the payment back. These adversary proceedings can take additional time, which could stall out your bankruptcy case. Additionally, because of the bankruptcy trustee’s ability to approach a creditor to take back property or money based on different time frames, it’s advisable to consult your local Dallas bankruptcy attorney to ensure you time your bankruptcy at the appropriate moment.